For our middle boy Jerome, we had a nautical themed baby shower, birth announcement, party, etc. In short, everything was covered in anchors, stripes and pirates until his first birthday. Even now, I must say that I am drawn to all those cool props and drawings with that have a nautical feel. I was over the moon when I discovered this cool brand Ahoy Tees! Now I can coordinate all my babies in matchy matchy Ahoy! They even have the cutest tops for mamas. We love discovering fabulous new brands. I recently stumbled upon KaPow Kids and I immediately wanted to order the whole line! 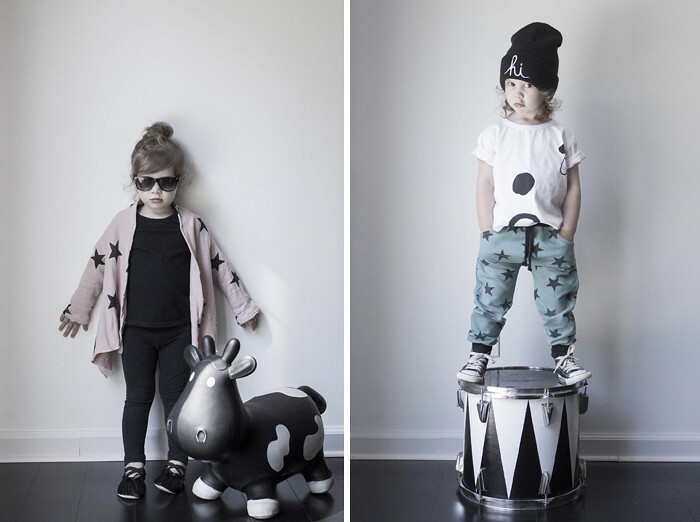 KaPow Kids is a unique Aussie label and they design bright, fun and limited edition clothes for our littles. 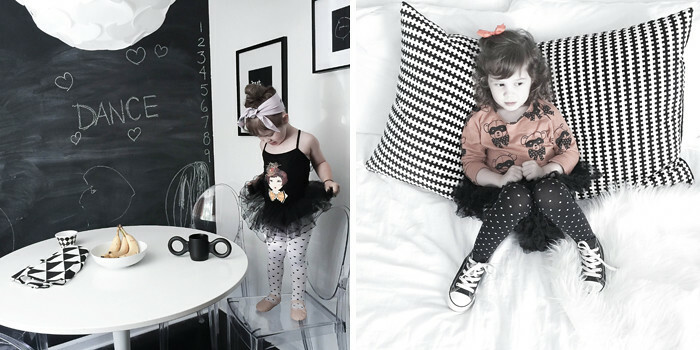 They are based in Melbourne and designed for babies and toddlers who want to stand out from the crowd. The clothes are all hand made in limited quantities and sell out pretty quickly. 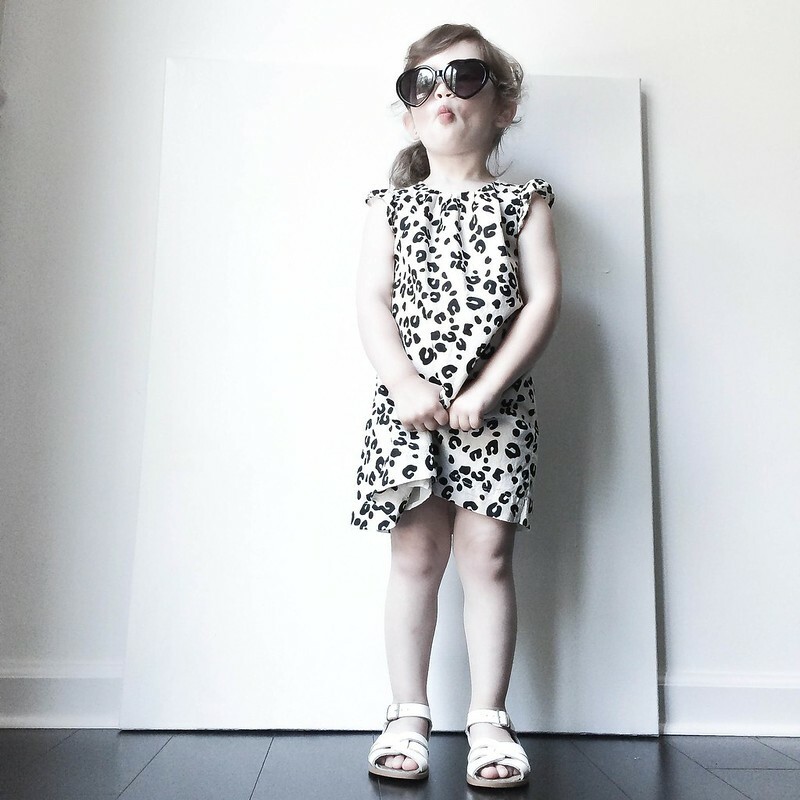 Meet Lexi, an outgoing three-year-old who is bursting with personality and style. She is a perfect fit for our Lil’ Stylekins. Thank you Samantha for sharing your little Lexi with Babiekins! 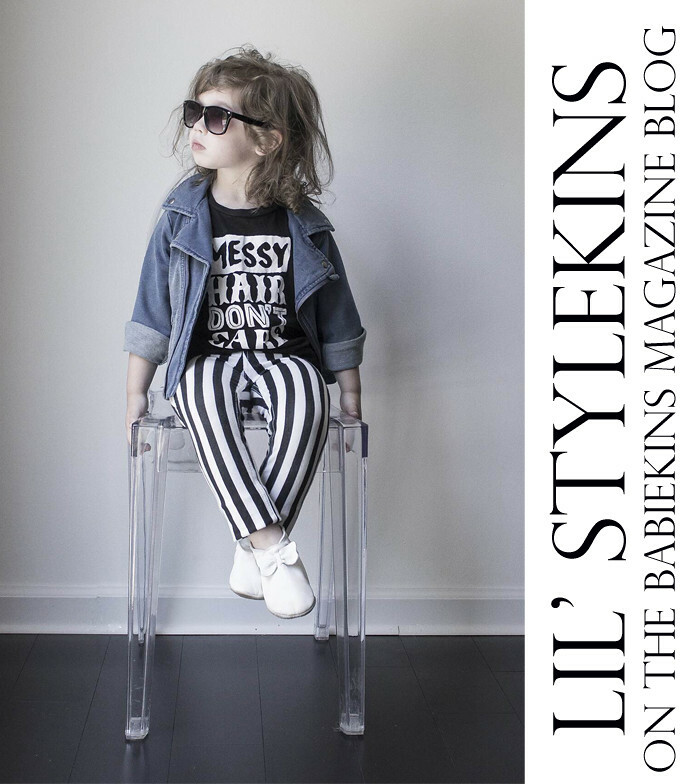 LIL’ STYLEKINS is a fun series which showcases real style from real kids! Do you have photos you would like to share? Here’s how! Lucas and I love a good adventure. On this particular afternoon we set off to explore Spanish Harlem. Lucas was dressed in his Good Boy Friday x ALB Everyday Essential tee and shorts. This set is an exclusive collaboration between the amazing subscription service A Little Bundle and adorable shop (all items are crafted, designed, and produced in the US!) Goodboy Friday. And clearly a must for such adventures is a bag for collecting treasures! A Little Bundle teamed up with Woven Play to create these awesome scavenger pouches! I love the strap detail which can also be hooked on to little belt loops. Annie, founder of A Little Bundle, decided to create her shop to bring her subscribers amazing products for the littles. In particular her collaborations are all one of a kind and add a magical, unique touch to her shop. I am seriously in love with it all! Follow Annie on Instagram for updates on her upcoming Fall collaborations – they’re going to be incredible! During summer holidays, Lilou and her cousin Marcel, play together all day, every day. Like true best friends, or should I say…partners in crime, they even want to wear the same clothes! They both adore printed leggings. These ones of Diapers & Milk have the cutest and brightest prints and they are so soft and comfortable! Paired with a denim shirt, they are ready for another fun day! Of course I added some matching styling tips for mama’s and papa’s too! What better to wear than jeans and a t-shirt on those slightly less warmer sunny days? Of course we only want the ubercute and fashionable and hippest and coolest kind of tee … the new LOVE Whistle & Flute t-shirt meets all these requirements! And the best part is: they have these in mama and papa sizes too! To blend in nicely in this LOVE-atmosphere, I thought of wearing a romantic lacy top with my boyfriend jeans. Of course I like me some monochrome tee for myself too!